A step-by-step system for seven-figure success. As an educator turned network marketing rock star, Sarah Robbins has a passion for sharing the system she used to achieve seven-figure success. In facet, she's shared that same system with her team, helping many achieve six-or-seven-figure success! 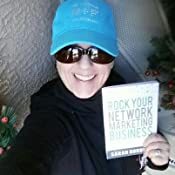 ROCK Your Marketing Business will help you discover how to promote products, power prospect, present your opportunity, product or service, powerfully "close", power start your new distributor & duplicate, plus much, much more. Sarah wants you to rock your network marketing business and live a life you love through this powerful profession. Rock on, rock stars! Sarah Robbins is a kindergarten teacher turned seven-figure annual residual income earner in network marketing, and is considered one of the world s leading network marketing consultants. Now in the top 1 percent income bracket of all women in America, she began part-time with no business experience and by the age of twenty-nine, had achieved a six-figure per month income within her network marketing company. Sarah has been featured in many best-selling network marketing books and is a frequent speaker at top industry events. As a speaker, she contributes unique insights on success, prosperity, leadership, and network marketing topics, and is fulfilling her lifelong dream of helping others. 4.0 out of 5 starsPretty good purchase. I bought this book as a surprise gift for my wife because she was trying to get into the Network Marketing field. Needless to say she was happy with the purchase. After she was done with it I decided myself to give it a read. In my opinion this is a basic beginner book. So there is definitely some great information in those pages for people just starting out. 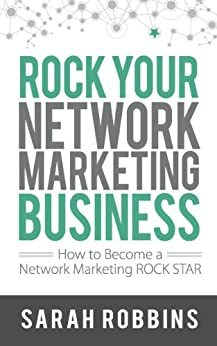 Since I already have some knowledge about Network Marketing this book did not really touch on anything new, at least for me. My wife on the other hand started having ideas that she could finally put into focus and knew the direction she needed to go in order to begin this particular field. So over all a good purchase especially as a gift or if you just want to get o start knowing what Network Marketing is all about. 5.0 out of 5 starsFresh and New on the Scene! When I met Sarah Robbins she was brand new in the Network Marketing business. She had a million questions and she always sat in the front row and took lots of notes. She was inquisitive and curious. She was laser focused and determined to someday be on the stage as a top performer in the profession. A few short years later, not only was Sarah on the same stage with those she had admired, she has written one of the finest books written on the subject of network marketing while she is still in her 20's! 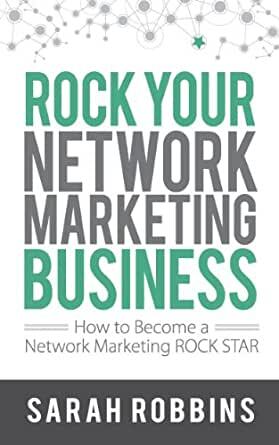 Rock Your Network Marketing Business will become required reading for anyone starting a network marketing business. It's easy to read, concise and complete. Sarah speaks from the heart and tells the story as a fresh, new entrepreneur on the scene. I will be referring her book to everyone. Having read several books on network marketing, having listened to CDs and watched DVDs on the subject as well, this is the first book on the subject that really speaks to me. This book is NOT about sales hype or how to get rich in a week. Sarah Robbins simply and succinctly states the realities of owning a small business: the failures and rejections along with the consistent work and focus it takes to be successful. Likewise, she shares the very same methods, ideas and activities that have made her the 7 figure (monthly) earner she is today. Robbins is also quick to point out the responsibility of the business owner to customers, and that bringing in new partners is an exercise in sharing the good fortune of your product or service. The heart of this former kindergarten teacher shines through in her positive yet practical manner of teaching readers how to start and grow a network marketing business. Another component blatantly absent in other publications I've read is the idea of giving back once abundance makes it possible: Sara Robbins and her husband Chris have established a foundation for children. I heartily recommend this book to anyone in network marketing, or anyone considering it as a career. This book encourages the radical concept of business with a moral compass. 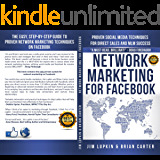 5.0 out of 5 starsA top Network Marketing book, clear, concise and simple to execute! Sarah writes in a very conversational style which makes it very easy to read. The writing is concise and gets to the point and doesn't lose you in a bunch of unnecessary details. Sarah has walked the walk and can talk the talk. 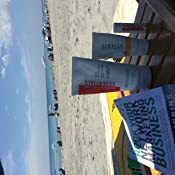 The book significantly shortens the learning curve for those who want to better understand network marketing and implement her tried and true tips. They are universally applicable to network marketing companies. If you can only read two network marketing books, this is definitely one of them!! 5.0 out of 5 starsHelped Me! -Be more social about my products, going out on a limb. With this I found myself using my business cards that I had yet to give away to anyone! I saw my sales go up from being more 'excited' and not as 'professional'. -Answer really general questions, but in a more personal matter, not as sales like. 5.0 out of 5 starsPhenomenal Must Read! Thank you Sarah for such an amazing book! It's great to have all of your tips and training in one place. This is my "go to" whenever I need inspiration, ideas and motivation. My favorite tips include ways to reach out to people and scripting. I am expanding my business every week and it wouldn't be possible without your book and continuous training. I will be gifting your book to my team as it grows! 5.0 out of 5 starsBRILLIANCE simply won't do this book or the author justice! Sarah Robbins is undeniably a lady that's found her place! She inspires people around the globe, with her powerful story. Sarah lets them know that if she can do this, so can they.